Hey guys. Just wondering if someone can help me out with my radio aerial. 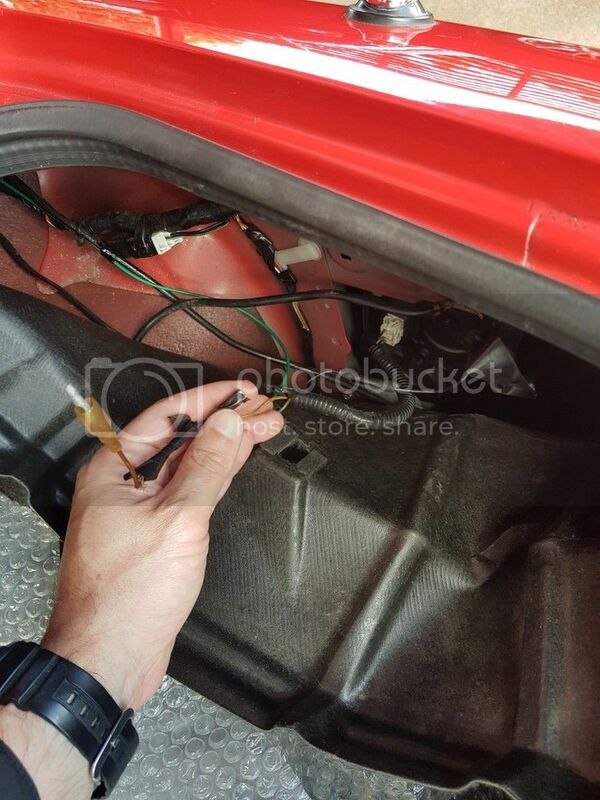 When I bought the car, the fuse box and battery were mounted in the boot. I relocated both back into the engine bay. I noticed there was a wire coming off the battery terminal going towards the radio aerial harness, and when I went to switch the radio on, the aerial didn't go up (it worked previous to taking the battery out). So I realised that wire had something to do with the radio wiring (power to make the aerial go up and down?). If it's not too much trouble, can someone take a pic of their wiring, and show me how an unmongrelised car looks? Grateful for any help. Thanks. always though that S15's had there aerial in the roof. it runs from back of the stereos to roof. this is what you need for s15 stereo. I thought some S15's have the aerial in the rear window, and some on the rear right quarter panel? You can see my aerial in the pic above. Or am I going bonkers? that box on ebay, where is it located in the car? My radio has never worked so interested to see if i have it or not. I found mine in the roof followed the wires up the passanger pillar. did you hook up the power wire from the back of the headunit ? That's box is mine on eBay. let me know if you want it, most of the car comes to Uk doesn't come with it.